Frankie Ducane is a woman in a seedy bar at a bad part of town, looking for a man named Fenton Bailey. A chance encounter with barfly Molly tells her she’s on the right track. Molly had run into Fenton not too long ago and come away with a cut on her neck and an itch that wouldn’t go away. When Frankie leans in and tells Molly what that itch is, the wounded woman goes to the bathroom and tries to slit her wrist. The suicide attempt fails, and after Frankie has buried Molly’s body in a shallow grave, things get much worse. A trail of blood is left in her path as she fights every step of the way on the road to Fenton Bailey. And when she finds him, Frankie discovers those feelings that had driven her forward weren’t fueled so much by anger as they were grief. “I just miss you both so much,” she tells Fenton before . . . well, I’m not going to tell. Suffice it to say the ending is somewhat bittersweet. Jessi Gotta and Bryan Enk, writer and director respectively, also acted as producers with Gotta starring in the lead role. Enk has a resume going back to 2000 with several movies under his belt both as writer and director. This works to his advantage with THE BIG BAD, as his experience has helped him establish a definite style, lending this movie a very surreal quality. I was reminded of how I felt watching THE CROW for the first time, as if I were watching a world isolated from everything else, a solitary microcosm with no influence from the outside world. There’s a lot of handheld camera work, and a few times I felt the action was muddled because of it, but overall Enk holds your attention, both with what he shows and more importantly what he only hints at; Frankie’s time in the dungeon with Annabelle was made all the more creepy by Enk’s determination to not fully establish the setting. And the third act, in Fenton’s cabin, conveyed a delicious menace I haven’t felt from any movie in a very long time. THE BIG BAD may be Gotta’s first writing credit, but her flare for dialogue suggests this isn’t her first script. I felt at times like some monologues went on a little too long, but they didn’t feel purposely overdone like the last two Tarantino movies (DEATH PROOF would have been 20 minutes shorter if Tarantino weren’t so in love with the sound of his own words--but I digress). Gotta fits the role of unassuming badass and definitely came through when it mattered. The effects work was outstanding thanks to Jane Rose, Paul J. Mason and Chelsea Manifold. Frankie’s lost eye was gruesome without feeling purposely gory and the work done on Fenton at the end was effective without being overplayed. In this case, less is more certainly paid off big. THE BIG BAD has the feel of a low budget movie without having the look of one. With muted lighting and filtered lenses, Enk has managed to transform the film into something bigger than its humble beginnings. And Gotta’s script hides layers of mythology that haven’t even begun to be explored. THE BIG BAD is a quiet, subtle movie without being boring. I felt the first act lingered a bit too long, but once it was over and things got moving, the film came into its own and really bloomed into something exciting and unpredictable, specifically act two when Frankie gets kidnapped by those trying to protect Fenton. That’s when this quiet little movie got big really fast, and I sat up and took notice. Great job by Gotta and Enk and I recommend THE BIG BAD without hesitation. 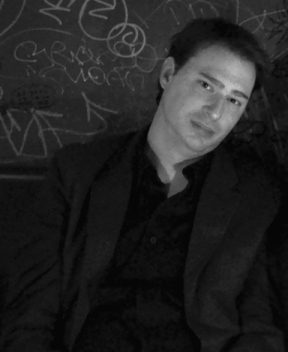 Bryan Enk is the former artistic director of the now-defunct Third Lows Productions, an independent film and theatre production company founded in 1992 that closed its doors in 2009. 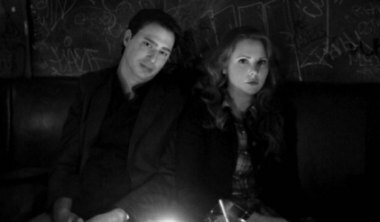 Third Lows' swan song and crowning achievement was PENNY DREADFUL, a 12-part supernatural theatrical serial co-created by Bryan Enk and Matt Gray that performed at the Brick Theater in Williamsburg, Brooklyn. Bryan is also the creator and curator of THE SINISTER SIX, an annual horror anthology film series featuring six short films by six directors that recently screened its fourth and final installment, SINISTER SIX MUST BE DESTROYED. He is currently co-producing the horror short, ANNIVERSARY DINNER, with his gotta/enk producing partner, Jessi Gotta. Bryan's films as director include MACBETH, JOHN'S ISLAND and MIDNIGHT DAYS. Jessi Gotta is a NYC-based actress and newly christened horror writer and director. She wrote and produced her first horror feature, THE BIG BAD, with her gotta/enk production partner, Bryan Enk. 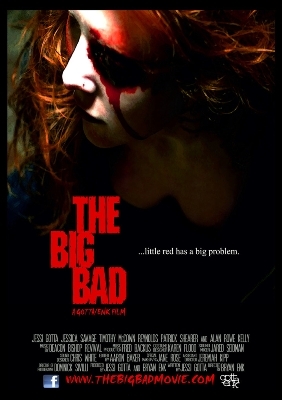 THE BIG BAD has been screened at several international film festivals and won Jessi the Best Feature Writer award from the 2011 LA Femme International Film Festival and a Best Actress nomination from the 2011 Maverick Movie Awards. 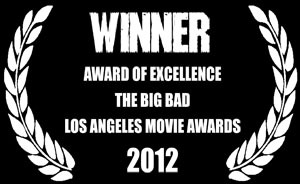 Some of THE BIG BAD's awards include: Best Chill from the THRILLER! CHILLER! Film Festival, Best Special Effects from the L.A. New Wave International Film Festival, Award of Excellence from the L.A. Movie Awards, Best Narrative Feature from the Midnight Black International Festival of Darkness and Audience Favorite from the ShockerFest International Film Festival. 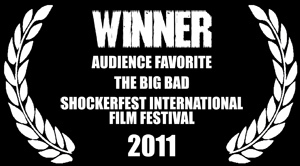 THE BIG BAD continues to screen at film festivals around the country. Jessi is currently taking her first turn at directing on the next gotta/enk film! Bryan and Jessi are currently producing a new zombie short she co-wrote called ANNIVERSARY DINNER to be completed spring 2012.